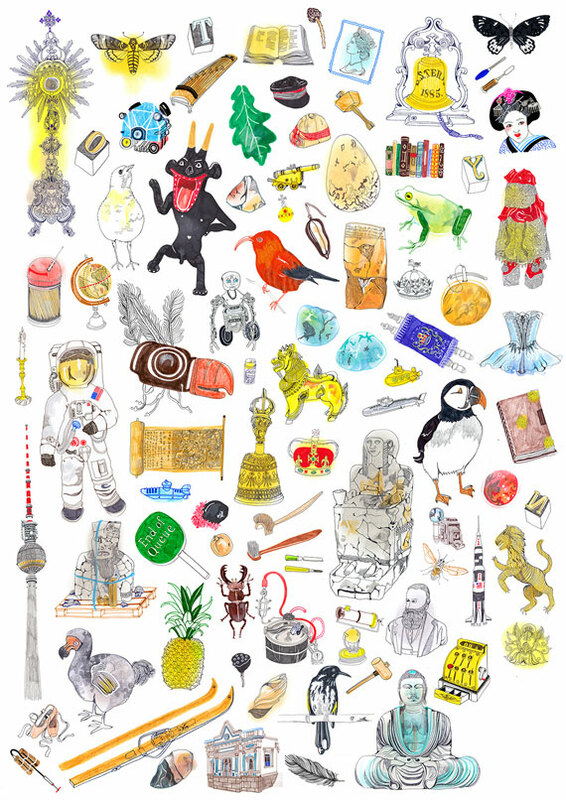 Hennie Haworth has completed a year-long project with Harper Collins, to illustrate an encyclopedic book called “The Secret Museum”, by Molly Oldfield. The Secret Museum is a unique treasure trove of the most intriguing artifacts hidden away in museum archives from all over the world – curated, brought to light, and brought to life in a beautifully illustrated collection. Rich in atmosphere and anecdote, suffused with the surprising emotion of a personal discovery, and grounded in fascinating factual detail, this is a unique and hugely entertaining book. Grab your copy now!